According to Facebook, there are 864 million active users that access Facebook daily. As much as it’s influenced our relationships and our purchase decisions, social media can also influence our healthcare decisions. Today, people turn to social media to learn about healthcare and gain opinions and feedback on physicians. 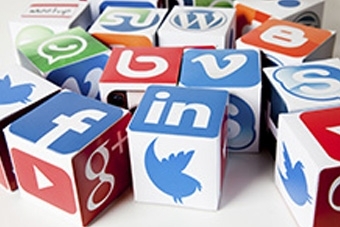 But should physicians use social media for their business? Like anything else, there are pros and cons. Patients are there – In the US, there are more than 250 million people on Facebook. Physicians can connect with patients and establish relationships online, allowing you to build credibility and trust with the online community. Access to information – According to the Wolters Kluwer Health 2013 Physician Outlook Survey, 80% of physicians use Internet browsers to access the latest diagnosis and treatment information. Facebook groups also provide a sense of community and are a good source of information and opinions. Cost-effective way to reach patients – it doesn’t cost you anything to get started. Control – You can’t control what’s said about you on social media. People can say whatever they want on social media and many even find it easier to air complaints or issues in social media than in person. At the same time, this also is a good opportunity to respond showing the community your dedication to your patients and your practice. Patient Privacy – Compliance is something that’s typically top of mind for healthcare professionals. Direct conversations with patients may inadvertently expose patient health information and violate HIPAA regulations. Time – Social media is not a one-shot deal. To be successful, it takes commitment and continued efforts. It takes time to create or curate content, manage your page, respond to comments and analyze metrics. You may need your staff or third party vendor to help with social media management.